next several weeks. The reaction? With most redesigns, there’s the good, bad, and sometimes the ugly. Unlike, say, Digg, which was pummeled by users following its recent redesign, Twitter’s new design is unlikely to spark revolt. But that doesn’t mean that it isn’t bold. It is, albeit in more subtle ways that reflect Twitter’s belief that it provides a “consumption environment”. Here’s a breakdown of the good, the bad, and the ugly. More multimedia. 25% of Twitter’s more than 90m tweets per day contain links, and a lot of those links lead to multimedia content. The new Twitter makes it far easier to view tweets that link to photos and videos, as multimedia content from popular sites such as YouTube, Flickr and TwitPic is now embedded on Twitter itself. More context. The new detail pane does more than display multimedia content. Twitter is using it to display related tweets, mini profiles and maps. The pane adds some much-needed context to 140 character tweets. It’s intuitive. From the looks of the video demonstrating some of Twitter 2.0’s new features, Twitter has managed to create a genuinely intuitive web-based interface. In addition to the new interface features supporting the display of multimedia and contextual information, Twitter has added an infinite scroll making it possible to view the Twitter timeline without having to click “more” again and again. It’s less simple. Twitter’s simplicity is arguably one of the big reasons it’s so popular. The new Twitter may be intuitive and well thought-out, but it’s not the simple Twitter that many have come to know and love. That may upset some users. More spam. The new details pane could for obvious reasons be an attractive feature to spammers. And if they start taking advantage of it, it will be bad news for the quality of the overall Twitter experience. Twitter still can’t compete with desktop clients. In my opinion, Twitter’s needs as a business require it to exert greater control over how individuals and businesses interact with its services. 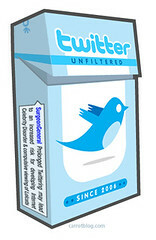 By creating a more compelling experience on Twitter.com, Twitter is trying to do exactly that. But even so, the new Twitter won’t bring third party desktop client users back, and it may not keep Twitter.com users from moving to a desktop client as their use grows. Twitter is still Twitter. Say the word ‘Twitter‘ and you’re likely to get a smile or a roll of the eyes. Love it or hate it, Twitter is an inherently limited service. While a company like Facebook has rapdily evolved and taken big risks, Twitter really hasn’t. Perhaps that’s not a bad thing, but it’s still nice to think that there’s something more to Twitter that’s just waiting to be revealed. This redesign won’t reveal it. Should retailers accept cash payments online? Providing alternative payment options can be a useful tactic for online retailers to appeal to as many buyers as possible, and many now offer PayPal along with credit and debit card payments. For some retailers looking to cater for as many shoppers as possible, there is also the option of cash payments. Is this a tactic worth pursuing for online retailers? With a well-known brand and a high street presence, BHS has the potential do well online, both in terms of web sales, and in driving sales into stores. After all, other multichannel rivals such as Debenhams and House of Fraser have been using their high street presence to increase their multichannel revenues.